Jeff Thompson is founder and CEO of Mercy Projects (formerly Eastern European Outreach), a faith based organization serving at-risk children in Russia, Ukraine and Eastern Europe. Jeff and his wife Paula are from southern California where they lead the ministry from their Murrieta office. Their exciting story is detailed in the book “Leaving The American Sector” where Jeff shares about their journey of smuggling bibles behind the Iron Curtain, to preaching in Russian prisons, Kosovo and reaching at-risk children. Jeff and Paula are passionate advocates for the cause of at-risk children and have developed a large child development ministry through child sponsorship in the former Soviet Union. 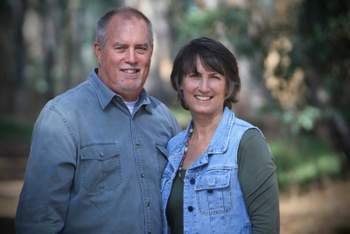 Jeff also serves as an ordained missions pastor at Calvary Chapel Murrieta and Paula leads their involvement with local at-risk young people through Safe Families For Children. Jeff Thompson and his wife Paula have been married since 1980 and are parents of four children and seven grandchildren. Today, they have developed a unique child / family development approach to bring health and hope to thousands of needy children and families in these countries.